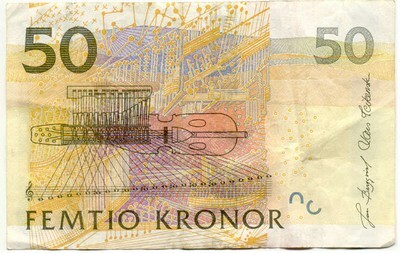 nyckelharpa or Swedish Key violin. I had never heard of it before your last post so I did some googling of my own. There are several Youtube performances. Thank you for sharing this and piquing my curiosity. 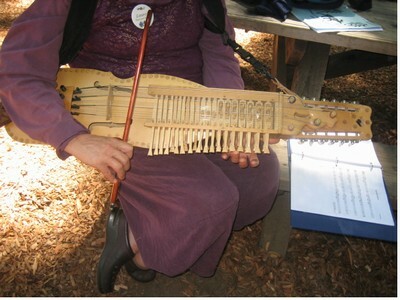 Also search on "Hurdy Gurdy" which is very similar but uses a spinning wheel rather than a bow. Interestingly enough, there is a Hurdy-Gurdy used prominently in the movie version of "The Polar Express" put out a few years ago. Vibrato looks super tough. I want one so I can play in tune. Fascinating instrument - that was fascinating - thank you Bram. I wonder if it's any easier to learn than traditional violin. It was pretty, in a weird sort of way, but the constant clicking of the keys was distracting and annoying. It's hard enough getting a standard violin on the plane- imagine having to travel with one of these contraptions! The Swedish group Vasen uses one of these instruments. Do a you tube search for Vasen .....Great listening !! "I wonder if it's any easier to learn than traditional violin." Yes Bernardette, you don't have intonation problems with your left hand, because the (piano-)mechanic pulls down the strings to the fingerboard.